Why do you need Perfect Party Favors to help you? Do you want your party to be the one people are still talking about months, even years, after it ends? It's the little things like finding or creating perfect favors that will help you achieve this goal. 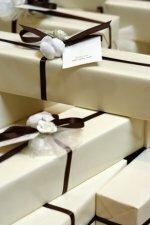 If so, you know that coming up with unique favors that represents your party's theme and pleases the guests is challenging. What's more, sifting through the THOUSANDS of websites out there that offer wholesale favors can be time-consuming and tiring. I know it was for me the first time I planned a major event. I kept wondering to myself, "where can I find a few unique party favors, or a few new favor ideas without spending all day online?" It was an unlucky predicament for me, but one that is going to greatly benefit you! That first major event was a baby shower and we ended up ordering personalized mint tins, very cute, but more about that later! 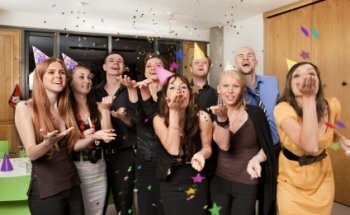 Now, let's get back to that idea of making your party special, fun, and unique. You've shopped for the party theme supplies. You've come up with a delicious menu. You've decorated your venue with flair. To add that perfect touch, you need unique favor ideas. That's what we'll be sharing with you here. 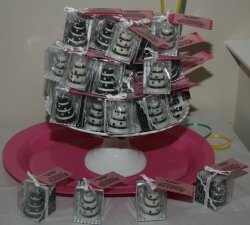 Themed Favors (Baptism Favors, Christmas Favors, Halloween Favors, Tea Party, and many more!). Oh! One more thing before we get you started - we definitely know that many of YOU have created, purchased, or collected a few perfect party favors of your own. We absolutely want to hear about them! Be sure to visit Favor Finders. As a thank you for signing up for "One Party at at Time," you will be given our special deal-of-the-day upon registration!